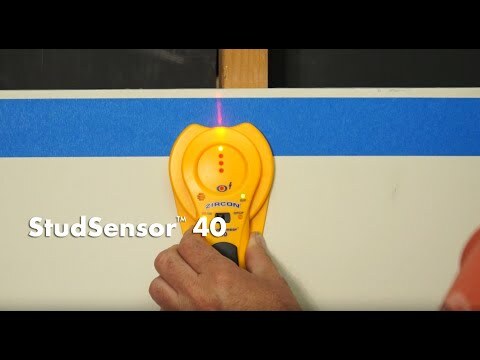 StudSensor™ 40 quickly and easily locates the edges of wood and metal studs and joists behind walls, floors, and ceilings. The patented SpotLite® Pointing System shines a beam of light on the wall to identify the target and WireWarning® detection indicates the presence of live AC voltage. Its tough, ergonomic housing withstands everyday jobsite use.